You must have FileMaker Go 15 or 16 installed on your iPad or iPhone to use this solution. If you don't have FileMaker Go installed on your iPhone/iPad, FileMaker Go 15 is a free app on the iTunes App store. After installing FileMaker Go 15, the App will open with a tour of FileMaker Go. If you want to close the tour, tap on the circle icon or folder in the upper left corner and select Close File. Download a free extended trial version directly to your iPad/iPhone (FileMaker Go 15 or 16 must first be installed ). 1. Download the install_concessions.zip file to you computer by clicking on the Download PC version link. 4. Warning: do not try to open the program while it is contained in the zip. It must be copied or extracted from the zip. 1. Download the install_concessions.zip file to you computer by clicking on the Download Mac version link. 3. After installing the folder double click the Concessions on the Go app inside of this folder. You might get a error message the first time from the Mac Security about not be able to open the App since it did not come from the App Store. If this happens, hold down the Control key and click on the Ticket Manager on the Go App. Then click open. You should only have to do this once. 4. Warning: do not try to open the program while it is contained in the dmg file. You must drag it to the Application folder or another location on your Mac. 5. 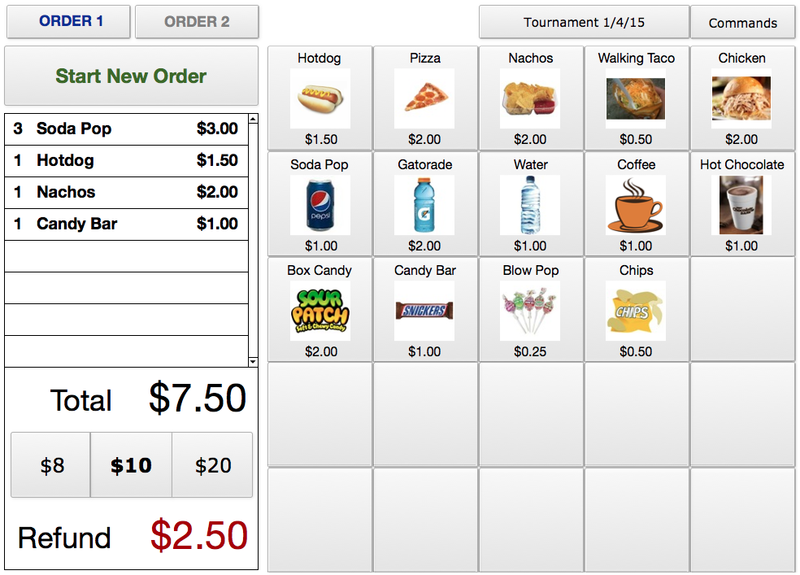 You can make an Alias of the Concessions on the Go app to place on your desktop for easy access.